Nature inspires. As this occasional table design is a tree section, it instinctively brings the warmth and inspiration of natural elements inside. Organic forms soften interior landscapes subtly offering respite in a world of constant activity. 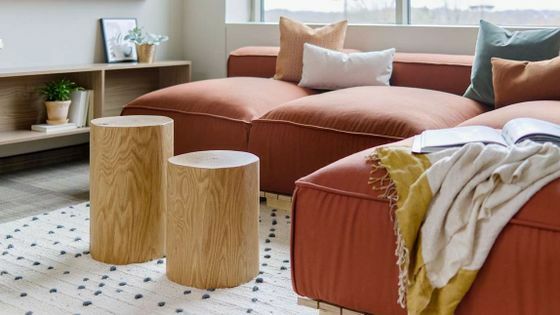 This natural occasional table design’s sassafras, walnut and oak selections showcase nature’s beauty in an artistic, functional manner keeping people connected to the environment.